How do I see my data in table format? 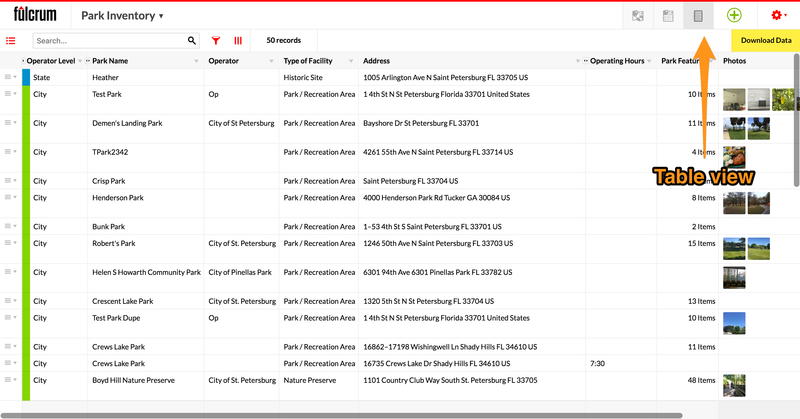 Learn how to use Fulcrum's table view for displaying and reviewing data. Fulcrum’s record editor has a view for displaying your data in table format. This view is ideal if you wish to view to contents of multiple records at a time.